Popcorn Buttery Toppings – Popcorn Oil Supplies. 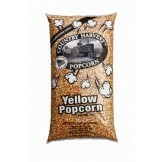 Kano Korn offers a complete line of popcorn oils and butter toppings. Kano Korn carries Odell’s and Lou Ana brand butters. Our line of butters include a variety of butter options! Odell’s butters are 100% pure and natural concentrated butter made from fresh cream. Odell's butters contain no artificial ingredients, preservatives or trans-fats. Odell’s Gourmet Butters do not require refrigeration even after opening and have a shelf life of twelve months. Lou Ana's Premium Buttery Topping is rich in flavor, and has no separation. The ingredients primarily include: Soybean Oil, Butter Flavoring, Beta Carotene, TBHQ and Citric acid to retard Oxidation. 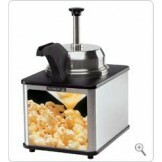 Also browse our line of warm butter dispensers – buy a commercial grade butter dispenser. 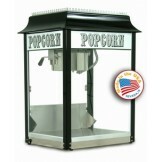 Our top of the line popcorn supplies will ensure that you get the best tasting popcorn every time, and our boxes and bags will extend your merchandising opportunities and save you money. 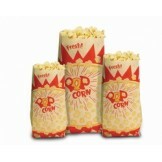 Check out our full range of popcorn supplies today! an and user friendly. 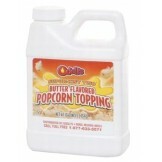 Please Browse Our Popcorn Butter Topping & Popcorn Oil Supplies - MADE IN AMERICA! Popcorn Butter Toppings | Lou Ana Premium Buttery Topping Lou Ana Premium Buttery Toppi.. Popcorn Butter Toppings | ODell's Supur Kist II NT (No Trans Fat) Buttery Toppin..
Canola Popcorn Popping Oil | Paragon Canola Oil Paragon Canola Popcorn Popping Oil (1-Gallon..
Coconut Popcorn Popping Oil | Paragon Coconut Oil Paragon Coconut Popcorn Popping ..
Canola, Sunflower & Coconut Popcorn Popping Oil Blend| Lou Ana Pop N Lite Oil Lou Ana's ..